Gold glitter 'one' 1st birthday cake topper. 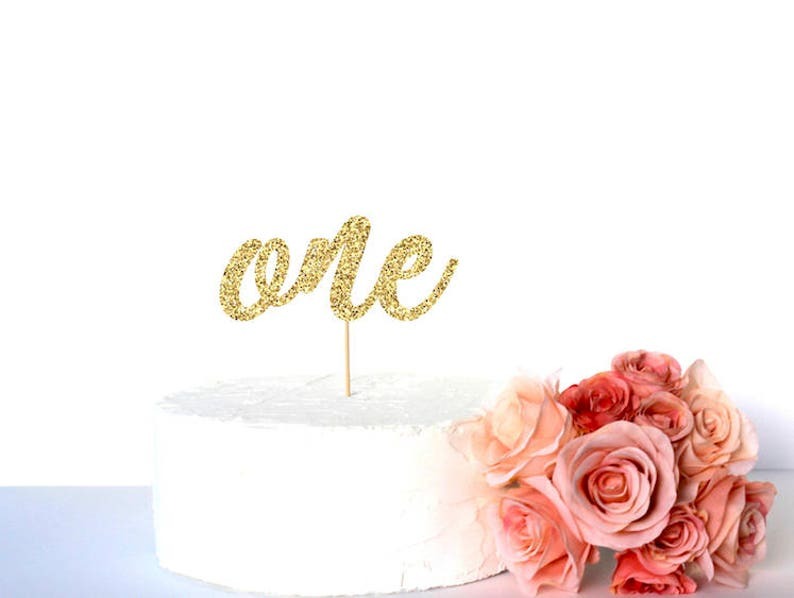 'one' caketopper is made with gold glitter cardstock paper and attached to food safe bamboo skewer. It is handmade by me. FRONT of the cake topper is gold glitter. BACK of the cake topper is WHITE.